Do you want to know my favorite part of flying? The landing. I love the moment when the plane suddenly touches the ground after hours in the air. It’s the last part of the journey and carries with it a sense of arrival. It’s the climax of the whole flight! Customers can actually get a very similar feeling when they are about to buy a product. If you’ve built your sales funnel correctly, your customers should have already gone through the steps of being aware of your product/service and are now interested. It’s time to close the deal with a professionally built landing page. 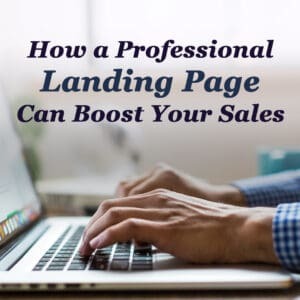 Two of the most common questions that I get as a virtual assistant are, “What exactly is a landing page?” and “Why do I need one?” Well, to put it simply, a landing page is the webpage equivalent of when a pilot is coming in for a landing. Think of it as a runway, the final part of your customer’s journey where they actually make the final decision to buy the product. A landing page is a page of your website (or through a service like Leadpages or ClickFunnels) dedicated to a single product or service that you wish to sell. On this page, everything about the product is laid out in a simple and accessible fashion, from the benefits to the pricing, to the steps the customer needs to take to make their purchase. It sums everything about the product up in the most attractive way possible, packaging and putting a bow on it for your customers. When you want to take your customers in for a landing, a landing page is your best shot! Over the years, I’ve created landing pages for webinars, challenges, ebooks, all kinds of freebie opt-ins, and products of all shapes and sizes. Every one of these landing pages is a little bit different, but they all usually share a similar structure because they are all trying to accomplish the same thing: convert the person reading it. Most successful landing pages begin with a great headline at the top of the page. This headline should act as sort of a one-line “pitch” to your customers. After the headline, you’ll want to have a subheading that fleshes out the ideas introduced in the headline. Just under the headline/subheading, there is usually an eye-catching and attractive graphic that illustrates what your product/service is all about. This could be a high-def image that you get off a stock photo site, a picture that you took yourself, or a graphic that one of our graphic designers could create in-house for you. Next, you want to have a section of copy that breaks down the benefits of your product/service and how it could improve the viewer’s life/business. You don’t want this to be a gigantic, dense block of text. Instead, you want it to be concise paragraphs that are super easy to read. You may even want to use graphics here to underscore the points you are making in the copy. If this is a product that you’ve sold before, offering social proof that it works can be a very effective sales technique. Ask a few former customers for a short testimonial that sums up the product and “proves” that your product/service really works. A few words from a third-party can do more than pages worth of marketing copy. You want to end the landing page with a compelling call-to-action, but that shouldn’t be the only one on the page. Calls-to-action should be sprinkled throughout the entire landing page, every one of them with a link that will take the viewer to your online store to actually buy the product. If your landing page manages to sell them right after they read the headline, you don’t want them to have to scroll all the way down to the bottom of the page to find the call-to-action. You want them to click immediately! So multiple CTAs are the way to go. An effective landing page is an essential part of any sales funnel. Are you using them? How Do You Get Customer to Your Landing Page? There are many ways that you can direct your customers to your landing page, smoothly and unobtrusively. The easiest might be to simply have a link on your homepage that will direct them to the landing page for a specific product or service. This can require you to set up a compelling call-to-action on your main page to convince them to click. Of course, this method is also dependant on you already having an attractive and functional website in place. Social media marketing can be an effective method of getting your customers to visit your landing page. You should already be using Facebook, Twitter, and other social media channels to put a spotlight on your blog posts and other content, driving engagement with your customers. To promote your landing page, you, or your virtual assistant, can write a post that includes a link to the landing page. If you find that you aren’t getting much engagement with it, you can make it a “boosted” Facebook post to get more of your followers’ eyes on it. You can also create Social Media Ads to advertise your product or service with a link to the landing page. Facebook Ads are a very effective way to drive traffic to your site. This is because of the fantastic customization features you can use to target the audience you want to see the ad. You can pick what criteria you want to focus on, including gender, location, age, etc. This will make sure that the people who see the ad are the ones who will most likely benefit from the product or service it is advertising. When you want to take your customers in for a landing, a landing page is one of the best ways to do it. It’s an essential part of any sales funnel and something that I specialize in! 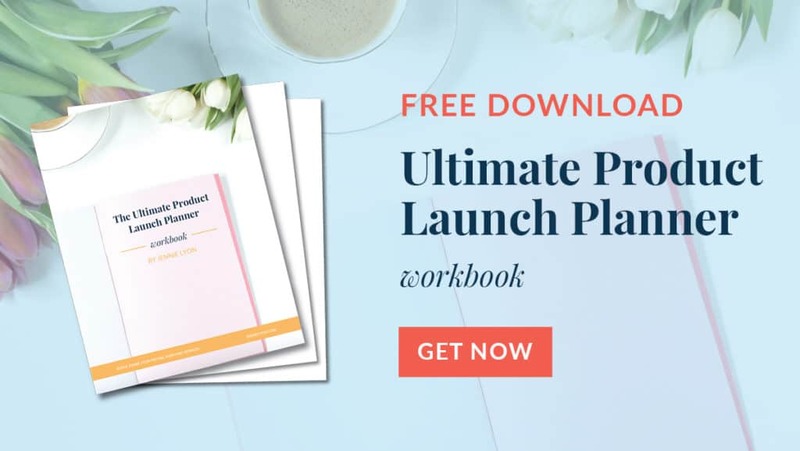 In fact, let me do you a favor, download my free workbook that walks you through launching your first product, let me know what questions you have! If you want a professionally crafted landing page that will match your current website’s style, including custom graphics, and engaging web copy, contact me today. Together, we can get started on building a landing page that will convert.